Join the coolest sport on campus! All are welcome with NO EXPERIENCE REQUIRED. Rowing is not only a sport but a gateway to unforeseen opportunity. The experiences that you have and the people that you meet will stay with you throughout your life, wherever you may go after graduation. The skills that you garner at practice can be used every day, in the classroom and in the "real world." The rowing community extends beyond the boundaries of city, state, and country, connecting people globally. Once you join rowing, you'll constantly meet new people who are rowers (or who know a rower). This team focuses on strengthening women and building a close team environment of Davis students with a wide variety of major studies. We encourage a competitive atmosphere and strive for the betterment of every member on the team. This program provides a challenge that pushes limits physically and mentally. With this program comes the chance to travel around the country competing against NCAA DI, DII, DIII, and club teams, while gaining life long friends. No prior athletic experience is required. UC Davis Rowing is home to National Champions and Olympians that walked on with little or no athletic experience. While being tall has its advantages in the sport, we welcome all that are willing to put forth a good effort to make up the difference, as well as all those interested in joining as coxswains. Must be academically-eligible and a full-time UC Davis student. *NOTE: We are accommodating with any financial situation, just let us know! Ready to Join? Email us at ucdrowing@gmail.com. And don't forget to follow us on social media to stay in the loop! Interested in learning more? Submit your name and email to be added to our email list! Thank you for your interest in our team! Be sure to follow us on social media @ucdrowing for live updates throughout the summer! Hope to see you in the Fall! Have questions about the team? Send us an email and we will get back to you ASAP! 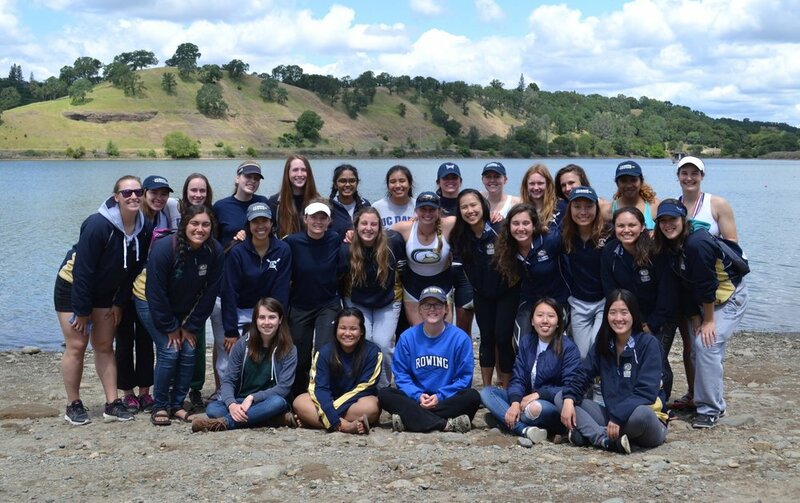 Sign up with your email address to receive the UC Davis Women's Rowing newsletter right to your inbox every quarter.